Obituary – Frank, Darla Rae (Coker) « Perry High School Alumni Association, Inc. Band, Vocal Music, Thespians, Newspaper, F.C.A. 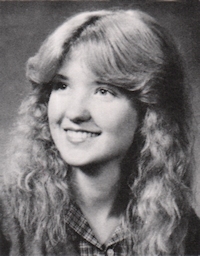 Darla Rae Frank, 51, of Perry, Oklahoma was born on August 24, 1962 Perry, Oklahoma to Raymond and Flora Zell Davison Coker. She passed away on Wednesday, November 20, 2013 near Stillwater, Oklahoma. She graduated from Perry High School in the Class of 1980. She enjoyed playing the piano, cooking, going to the lake and camping plus target shooting. Darla loved driving Rick’s tractor and always referred to it as My tractor. When she was not driving the tractor Darla could be found doing what she enjoyed most, visiting with her family and friends. Darla was a member of the First Christian Church of Perry, Oklahoma. Funeral services will be held at 10:00 a.m., Monday, November 25, 2013 at the First Christian Church in Perry, Oklahoma. Rev. Martin Foster will officiate. Interment will be at Sample Cemetery in Lucien, Oklahoma. Services are under the direction of BrownDugger Funeral Home. Family will receive friends from 6:00 pm to 8:00 pm on Sunday, November 24, 2013 at BrownDugger Funeral Home in Perry, Oklahoma. Memorials may be made to the First Christian Church in care of BrownDugger Funeral Home, 1010 N. 7th Street, Perry, Oklahoma 73077. 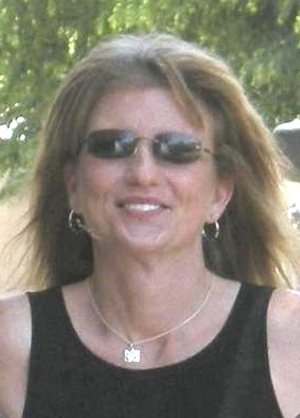 Darla is survived by her father, Raymond Coker and his wife, Willa of Perry, Oklahoma one son, Tyler Raymond Frank of Perry, Oklahoma one daughter, Kylie Zee Gallaway of Perry, Oklahoma three grandchildren one brother, Rusty Coker and his wife, Cherry of Stillwater, Oklahoma and her special friend, Rick Milliron of Perry, Oklahoma. She was preceded in death by her mother, Flora Zell Coker.